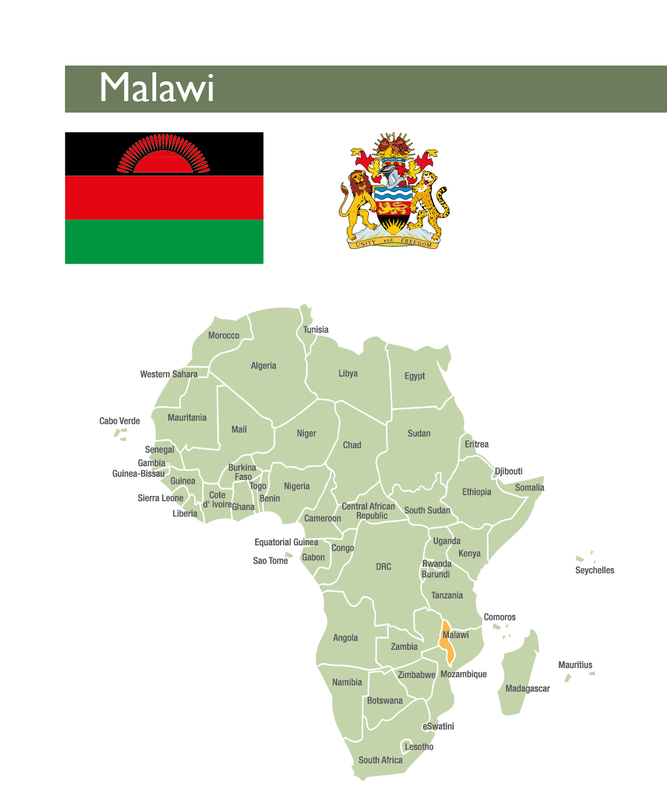 To download a pdf version of the full 2018 Malawi country profile, click here. Malawi is a small, landlocked country with an estimated population of 18.6 million people, which is expected to grow to 20.2 million by 2020.It is a young country with 64.9 percent of the population falling under the age of 24. Malawi’s financial sector has consolidated in the last three years. This is as a result of the acquisition of state-owned Malawi Savings Bank (MSB) by FDH Holdings Limited in 2015, the acquisition of majority shareholdings in IndeBank by the National Bank of Malawi (NBW) in 2016, and lately, First Merchant Banks’s acquisition of microlender Opportunity International Bank of Malawi (OIBW). As at December 2017, the number of banking institutions in the country was 10 (one discount house and nine banks), down from 12 in 2016. Financial inclusion remains a challenge in Malawi. According to the 2017 Global Findex data, 23 percent of adults (15 years or older) in Malawi report having an account (either a personal or shared account) at a bank or another type of financial institution. While this has increased significantly from 16.1 percent in 2014, it is still low. Given the relatively low levels of financial inclusion, it is unsurprising that there are very low levels of consumer borrowing in the country. In 2017, only 8.6 percent of adults (15 years or older) reported borrowing money from a bank or another financial institution or using a credit card in the past 12 months. According to Habitat for Humanity Malawi, an estimated 21 000 new housing units are needed every year for the next 10 years to meet housing demand. This far outweighs the current housing delivery by the public and private sector. Malawi has faced tough economic conditions in recent years and continues to perform poorly on various macroeconomic indicators. Poverty levels remain high and affordability and access to decent housing remains a major challenge for the country. However, recent improvements in land reform policies and planned improvements to the country’s land registration system and title deed system are encouraging prospects. A key development in recent years has been the reclassification of customary land to private land. The primary benefit of this being that a large portion of the predominantly rural population will now be able to own land individually and potentially use this land as collateral for future housing investments. Furthermore, the base lending rate in Malawi continues to decline and currently stands at 16 percent down from 18 percent in 2017. The banks and other lending institutions have responded accordingly by cutting their rates thereby improving access to and affordability of loans, including mortgages. The country’s housing market continues to struggle following the devaluation of the Malawian Kwacha and subsequent depreciation of the currency to the US dollar in the following years. However, the recent developments in land policy and the government’s commitment to improving housing conditions, as set out on the MGDS III, signal positive prospects for the country’s housing market in years to come. Malawi is a small, landlocked country with an estimated population of 18.6 million people,which is expected to grow to 20.2 million by 2020.It is a young country with 64.9 percent of the population falling under the age of 24. Malawi has a very large rural population with approximately 83.4 percent of the total population living in rural areas and 16.6 percent living in urban areas. The urban population in Malawi is growing faster than the rural population. The annual urban population growth rate in 2017 was 4.1 percent (compared to 3.7 percent in 2008) while the rural population growth rate in 2017 was 2.6 percent.The overall population growth rate in 2017 was 2.9 percent. According to the 2016 Integrated Household Panel Survey (IHPS), 24.3% of migrants moved from rural to urban areas.The majority of the urban population reside is four main areas including Lilongwe, Blantyre, Mzuzu and Zomba. Malawi ranks amongst the world’s poorest countries and performs poorly on various indicators. Gross domestic product (GDP) per capita in 2017 hit a record high (but still very low) of US$486.45, while inflation was recorded at 8.6 percent in June 2018. In 2017, Malawi’s GDP growth rate picked up to 4 percent, up from 2.5 percent in 2016. However, the country’s growth prospects are expected to be slightly lower in 2018 following adverse weather conditions and an army worm infestation affecting the agriculture sector. 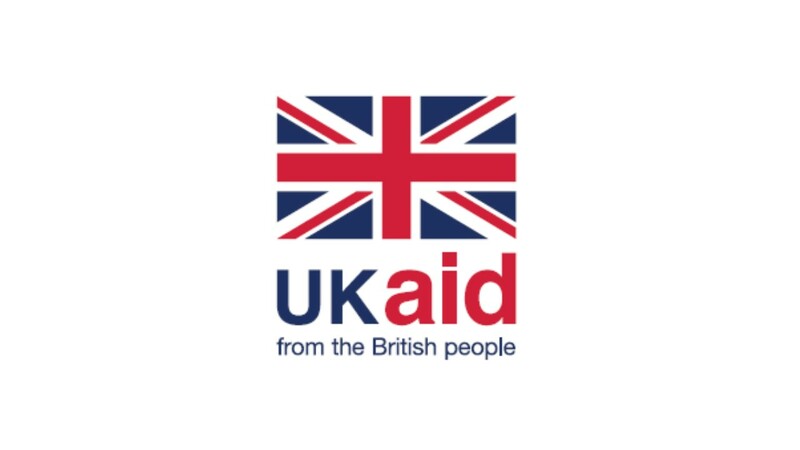 Malawi also continues to score low on the United Nations Development Programme (UNDP) Human Development Index (HDI), coming in 171thplace out of 189 countries on the 2018 statistical update.According to the latest available data for the Multidimensional Poverty Index (MPI), 56.1 percent of Malawians are multidimensionally poor while 27.2 percent live near multi-dimensional poverty. Malawi’s construction sector saw good growth in 2017 at 4.8 percent compared to 3.4 percent in 2016.This was largely driven by improved public investment towards large infrastructure projects including the heavily delayed Kamuzu Barrage in the Machinga Districtand the construction of a dual carriage way in Lilongwe. The sector is expected to continue to benefit from large Government funded projects including the planned construction of the 300 megawatts (MW) Kamwamba coal-fired power plant in 2018.The project is being financed primarily through a loan from the Export and Import (Exim) Bank of China to the value of $677 million, while the government is expected to pay a commitment fee of $104 million. Despite the increased public investment, the construction sector only accounts for approximately 3 percent of the country’s annual GDP. The Reserve Bank of Malawi (2017). Financial and Economic Review. Vol 51 – Number 4. Pg.23. The Reserve Bank of Malawi (2017). Pg. 23. Malawi’s financial sector has consolidated in the last three years. This is as a result of the acquisition of state-owned Malawi Savings Bank (MSB) by FDH Holdings Limited in 2015,the acquisition of majority shareholdings in IndeBank by the National Bank of Malawi (NBW) in 2016,and lately, First Merchant Banks’s acquisition of microlender Opportunity International Bank of Malawi (OIBW). As at December 2017, the number of banking institutions in the country was 10 (one discount house and nine banks), down from 12 in 2016.However, two banks, NBM and Standard Bank,account for the almost half of the sector’s total assets (49.5 percent) and total deposits (50.1 percent). According to the Reserve Bank of Malawi (RBM) 2018 Financial Stability Report, total assets declined by 3.7 percent to K1,514.9 billion (USD 2.08 billion)during the period December 2017 to June 2018. Short-term investments and gross loans and leases’ combined account for 66.4 percent of total assets. However, lending to the real estate sector remains a small proportion of the loan book. In 2017, total loans to the real estate sector was K1.7 billion (USD2.3 million) or 0.4 percent of the loan book. The RBM Financial Stability Reportfurther indicates that asset quality improved in June 2018 with the ratio of non-performing loans decreasing to 12.7 percent from 15.7 percent in December 2017. However, this is still way above the regulatory benchmark of 5.0 percent. Despite this, the report concludes that the country’s banking sector is profitable, liquid, and adequately capitalised. Financial inclusion remains a challenge in Malawi. According to the 2017 Global Findex data, 23 percent of adults (15 years or older) in Malawi report having an account (either a personal or shared account) at a bank or another type of financial institution. While this has increased significantly from 16.1 percent in 2014, it is still low. However, if the use of mobile money services is included, the proportion of adults with access to an account is higher at 33.7 percent. Given the relatively low levels of financial inclusion, it is unsurprising that there are very low levels of consumer borrowing in the country. In 2017, only 8.6 percent of adults (15 years or older) reported borrowing money from a bank or another financial institution or using a credit card in the past 12 months.In the same period, less than six percent of adults reported having an outstanding housing loan (either personally or together with someone else). Financial inclusion is in part constrained due to limited access to suitable formal financial products and services in rural areas. According to the Microfinance Information Exchange (MIX), 46 percent of all financial access points are located in Malawi’s two largest cities, Lilongwe and Blantyre.Furthermore, the number of agencies, kiosks and vans operating across the country decreased to 140 from 193 in 2016.Thus a key challenge for the country’s financial sector is figuring out how best to serve the predominantly rural based population with useful formal financial products and services. Until recently, the lack of credit information in the country constrained lending. The legal framework for credit information sharing was established following the enactment of the Credit Reference Bureau (CRB) Act in 2010, together with overarching financial sector legislation and the Financial Services Act of the same year. As a result, two credit reference bureaus were licensed, namely Credit Data CRB and CRB Africa. However, after substantial delays the CRB Act was amended in 2015 to remove ambiguities which had hindered its roll out and to enable credit bureaus to be fully functional. The country’s credit market development has been suitably reflected in the latest World Bank Doing Business Index (DBI). While the country still ranks poorly overall on the DBI (in 2018 Malawi ranked 110thout of 190 countries), it’s performance on the “getting credit” indicator is very good (Malawi ranked 6 out of 186 countries). According to the World Bank, the performance on the “getting credit” index is largely driven by the establishment of the country’s first operational credit reference bureau (CRB) in 2016.,However, the establishment of the CRB has not been without challenges and it is reported that the banking institutions are not utilising the services of the CRB as they are expected to. Few banks offer mortgages in Malawi, namely the National Bank of Malawi (NBM), Standard Bank, FDH Bank and New Building Society (NBS). However, overall, access to mortgage finance is limited by household affordability and strict eligibility criteria including a minimum 10 percent cash deposit, a minimum of three to six months history with the bank and three months of payslips. Furthermore, banks only offer mortgages on properties located in areas “deemed acceptable to the Bank”.This means that the unbanked population and the casually self-employed (for example, small scale farmers) are largely excluded. In the fourth quarter of 2017, the Reserve Bank of Malawi revised the base lending rate to 16 percent from 18 percent, maintaining the downward trend of the past two years. The main mortgage financiers have responded to the policy rate by equally reducing their lending interest rates: NBM charge 23 percent for mortgage finance, which is also their base lending rate.This is down from 27.5 percent in 2017.CDH Investmentand FDHcharge 24.5 percent and 25 percent respectively for their base lending rate.,NBS, the largest mortgage provider, indicates that it adds a maximum of 7 percent on the base lending rate. NBS’s maximum term is 15 years with a maximum loan-to-value ratio of 80 percent. Most banks have excess liquidity, their funds consisting primarily of a combination of equity plus retail funds from savers. Some have external lines of credit, but only for special schemes such as SME lending or access to foreign exchange. The main source of funds for mortgages remains retail funds, with most surplus funds being invested in Treasury bills. The microfinance sector also offers a broad range of loans that provides some leeway to housing finance. As at December 2017, there were 45 registered microfinance institutions in Malawi (35 microcredit agencies, nine non-deposit taking institutions and one deposit taking institution).According to the RBM 2018 Financial Stability Report, totalassets for the microfinance sector increased from K35.3 billion (USD 48.5 million ) in December 2017 to K39.9 billion (USD 54.8 million ) in June 2018. However, during the same period, the loan portfolio for the sector decreased from K19.9 billion (USD27.3 million) to K18.5 billion (USD25.4 million). The deposit taking subsector (comprised of one MFI, FINCA Malawi Ltd) registered a profit of K101.7 million (USD 139 856) in June 2018 compared to K45.0 million (USD 61 883) in June 2017 and a registered loss in March 2017. The improved profit is largely due to growth in income from investments. Conversely, the recorded losses in the non-deposit taking sector continue to deepen. As at June 2018, the registered loss in the non-deposit taking subsector was K246.5 million (USD 338 984) compared to K206.5 million (USD 283 976) loss in the previous year. Contributing to this loss was the increase in NPLs from 16.5 percent in December 2017 to 21.8 percent in June 2018. Given the decrease in profitability, it can be expected that the Return on Assets (ROA) and Return on Equity (ROE) for non-deposit taking microfinance dropped from -1.1 percent and – 3.0 percent in June 2017 to -1.2 percent and -3.6 percent in June 2018, respectively. For the deposit taking microfinance subsector, ROA and ROE improved from 0.4 and 2.0 percent in 2017 to 0.6 percent and 2.8 percent as at June 2018, respectively. The primary MFIs that offer short-term housing loans include: Select Financial Services, Epik Finance, and Greenroot Microfinance. Epik Finance, for example, offers incremental building loans to low and middle income earners; the maximum loan value is US$900 (MK500, 000), repayable over 18months. Habitat for Humanity (HfH) has sustained its partnerships with two housing microfinance lenders: Opportunity Bank of Malawi (OBM) and Select Financial Services. 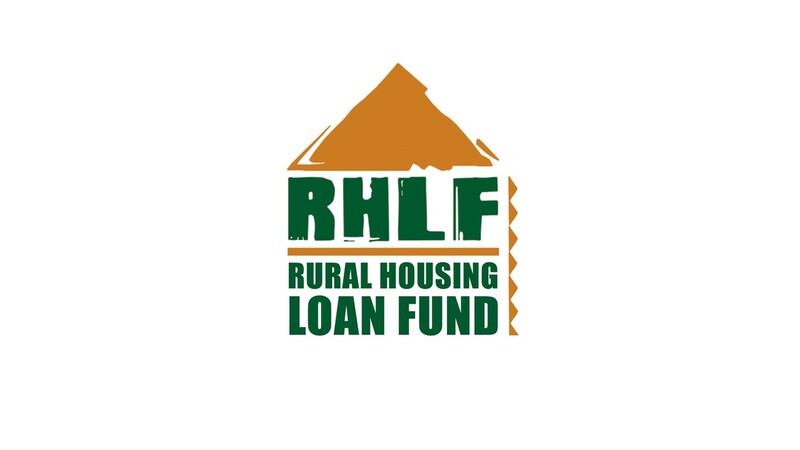 Through this partnership, low income households access small habitat loans from the microlenders and HfH provide them Construction Technical Assistance (CTA). While limited tenure security may still be an issue with regard to accessing housing finance in Malawi, the lack of a national identification system should soon no longer be an issue. This is due to the National Registration and Identification System (NRIS project) that was launched in October 2016 with the support of the UNDP.The project aims to establish a permanent and continuous national registration and identification system in Malawi. The mass registration campaign started in May 2017 and is expected to be completed by 2019. The Reserve Bank of Malawi (2017). Financial Institutions Supervision Annual Report 2017. Pg.12. The Reserve Bank of Malawi (2018). Financial Stability Report. June 2018. Pg.8. Note: Data collection for the 2018 Doing Business Report concluded in June 2017 therefore the CRB would not have been operational for long enough to be included in the 2017 report. The Reserve Bank of Malawi (2017). Financial & Economic Review. Vol 51 – No. 4. Pg.39. The Reserve Bank of Malawi. (2017). Financial Institutions Supervision Annual Report. Pg.24. According to data published by the International Monetary Fund in April 2018, Malawi is the third poorest country in the world (just above Burundi and the Republic of South Sudan) based on GDP per capita figures.Furthermore, based on a subjective-assessment of economic wellbeing, in 2016, close to 70 percent of households in Malawi considered themselves to “poor” or “very poor” and less than 10 percent of households reported having sufficient income to build savings. According to the latest available labour force data from 2013, the majority of economically active adults (aged 15 – 64 years old) in Malawi work in the agriculture sector and levels of self-employment are high. Close to fifty five percent of the employed population are either an employer or own-account worker. Informal employment relationships are dominant in the labour market; only 11.3 percent of employed adults were classified as being in formal employment in 2013. Formal employment is characterised by a situation where the employer is subject to national labour legislation, to income taxation or to any social protection or employment benefit. In July 2017, the Malawi Government raised the daily minimum wage from MK787.70 (US$1.07) to MK962.00 (US$1.30).Assuming a worker is employed for the full month (20 working days) at the revised minimum wage, they can expect to earn a gross monthly income of approximately MK19 240 (USD26.50). However, given the high levels of informal employment, many workers might earn even less than this. Given the low levels of income and high rate of informal employment, few Malawians qualify for mortgage finance. Prices of a newly built entry-level house, built by a developer, average MK8.5 million (US$11 643).Since only 30 percent of a household’s income is allowed towards servicing of loans or mortgage payments, a borrower needs to earn at least MK700,000 (US$978.9) to afford the house. Thus even the cheapest house is only accessible to highest income earners. Furthermore, most mortgage lenders target salaried individuals thereby excluding a large portion of the Malawian workforce. National Bankprovides a mortgage as small as MK500 000 (US$684.9); and the least mortgage value at Standard Bank is approximately MK4 million (US$5479.80). Repayment periods range between 15 and 20 years and, as is standard practice, the lending bank possesses the property until the loan is settled. National Statistical Office Malawi (2017). Pgs. 88 & 92. Thipa, G.(2017): Fears Rise Over Wage Avoidance. Daily Times. July 13, 2017. Times Group. According to the IHPS 2016 data, the proportion of households living owner-occupied dwellings decreased from 73.2 percent in 2010 to 68.1 percent in 2016. Similarly, there was a slight decline in the proportion of households that rent from 19.2 percent in 2010 to 18 percent in 2016. This appears to be driven by an increase in households taking up free, authorized dwellings (9.8 in 2016 compared to 4.8 percent in 2010). In 2016, approximately 68 percent of dwellings were constructed using permanent or semi-permanent materials, while 32 percent were constructed using traditional materials. In 2010 the proportion of dwellings constructed using traditional materials was much higher at 42 percent. According to the IHPS 2016, the average household size in the country increased slightly from 4.7 persons in 2010 to 4.8 persons in 2016 (this is the same in both rural and urban areas). Furthermore, 16.8 percent of households were overcrowded (have four or more people per habitable room). This was higher in rural areas (18.8 percent) compared to urban areas (11.4 percent). As can be expected, there is a vast difference in terms of access to services among urban and rural households in Malawi. In 2016, the dominant source of drinking water in rural areas was reported to be borehole water (72.1 percent), while in urban areas it was piped water into a yard/communal area (61.9 percent). Approximately 18 percent of households in urban areas reported having piped water into their dwelling. In terms of electricity, 49.6 percent of households in urban areas reported having access to electricity in their dwellings (up from 40.1 percent in 2013), compared to only 5.8 percent of rural households. While there have been developments in terms of improved sanitation in the country, access to flush toilets remain low. In 2016, only 4.9% of all households in Malawi reported having access to a flush toilet. This was higher in urban areas (15.3 percent), compared to only 1.1 percent in rural areas. The predominant type of toilet facility in both rural and urban areas was a traditional latrine with a roof (60.7 percent urban, 64.5 percent rural). Despite some improvements in access to services, an increasing proportion of households in Malawi consider their housing situation to be inadequate. According to the IHPS 2016, over half of all households surveyed reported inadequate housing in 2016 (53.8 percent) up from 44.2 percent in 2010. Ninety percent of houses in Malawi are built, incrementally, by owners through savings. According to Habitat for Humanity Malawi, an estimated 21 000 new housing units are needed every year for the next 10 years to meet housing demand.This far outweighs the current housing delivery by the public and private sector. Housing developers in Malawi include public and private providers. Parastatal Malawi Housing Corporation (MCH) is the main public provider that builds and rents out relatively cheap houses targeting low, middle and high income urban households. MCH delivers on its mandate through construction of conventional houses and development of ‘traditional housing areas’ for low income groups. Historically, rentals for most of MHC’s residential properties have not kept pace with increases in cost. This has limited the Corporation’s capacity to scale and sustain services. Since 2011, MCH rentals have increased by an average 12.3 percent but each adjustment has been met with resistance from tenants who argue that MHC does not fully meet its maintenance obligations. However, a recent ruling by the High Court in October 2017 has allowed the MHC to proceed with rental increases of approximately 48 percent. In 2017, the cheapest MCH house, a bedsitter, attracted a monthly rentals of MK9 000 (US$12.30) while the most expensive is rented for MK300 000 (US$410.95). Occasionally, the Corporation puts some houses for sell and the purchase prices is determined through a due valuation process where factors like house size, recentness, location, and house condition are considered. Existing tenants are given first option to purchase the houses. MCH owns approximately 6 000 housing units countrywidewith a reported waiting list of over 60 000 Malawians.MCH has a poor track record of delivering on its plans to build new houses. The institution was expected to build 4 200 houses and develop 5 800 plots between 2007 and 2011, however only 481 houses were completed. Similarly, in 2015, MHC’s CEO announced that the institution was planning to construct 25 000 houses in the country’s three major cities to cater for the national housing demand. However, as of June 2016, the Corporation had only started constructing 17 houses. The latest reports suggest that MHC is planning to construct 15 000 houses with 2,500 expected to start in 2018/19. A key development for the MHC was the passing of the MHC Amendment Bill 2016 which allows the organisation to run as a commercial entity. The amendment also allows the MHC to move into the construction of commercial buildings. The Decent and Affordable Housing Subsidy Programme (DAHSP) launched by the government in 2014 aimed to help the poor own decent, well-constructed homes. However, according to news reports, the programme has failed to make any significant impact.The DAHSP, commonly known as the Cement and Malata Subsidy, has two components – a subsidy component where households get a loan for building materials (constitutes the largest component of the programme) and a grant where the targeted beneficiaries receive a fully-funded house from the government. By March 2018, the program is reported to have benefited 20 000 people, with close to 15 000 houses being constructed and/or improved.However, the programme is far below its target of constructing / improving approximately 13 000 houses annually under the loan scheme. The programme is reported to have only built free houses for 1.2 percent of target beneficiaries. This translates to a total of 24 houses nationwide since the programme launched in 2014.Despite the lack of progress, 51.7 percent of the total programme budget (MK 29.4 billion or USD40.4 million) has already been spent. Low-income earners, especially those living in peri-urban and rural communities, have benefited from previous projects by NGOs and public private partnerships. 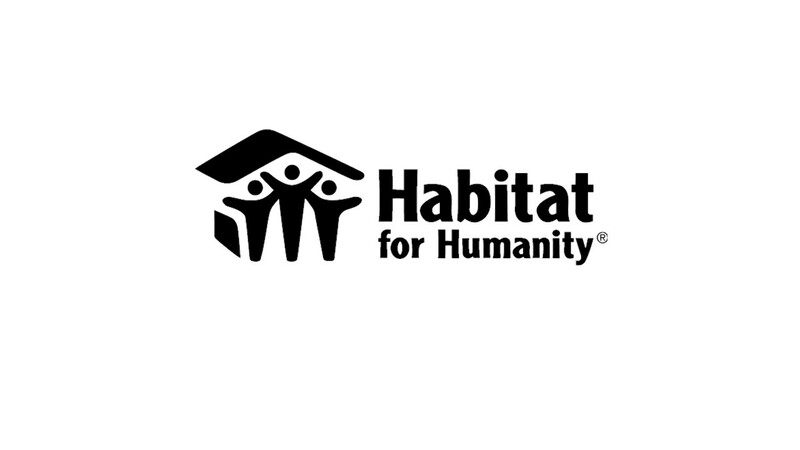 Habitat for Humanity (HfH) has built over 3 000 low-cost houses and latrines in Malawi. In 2005, HfH launched the ‘building in stages’ programme, an incremental building scheme which allows low income families to improve their living conditions over time, based on the availability of their resources. By December 2012, 250 homes were completed in Lilongwe, helping to secure simple, decent housing for over 700 people previously living in the city’s Mgona, Mtsiriza and Mtandire slums. Previously, boththe Centre for Community Organisation and Development (CCODE) and HfH also provided housing loans to low-income households, but they both changed their approaches to only provide construction training assistance.Furthermore, the Cities Alliance, a global partnership for urban poverty reduction, initiated a slum upgrading programme in partnership with UN-Habitat in January 2011. The project aimed to formulate city development strategies and a slum upgrading programme covering cities of Blantyre, Lilongwe, Mzuzu and Zomba. Since 2013, Enterprise Development Holdings (EDH), a social enterprise formed from CCODE, has been working with UK-based Real Equity for All (Reall) supporting poor urban communities to plan and implement local solutions to challenges of inadequate land, housing and infrastructure. As of 2015, EDH had successfully negotiated for more than 2 000 plots of land and constructed over 780 low cost rental houses in Lilongwe and Blantyre. In 2017, the cheapest house was reported to be rented for MK32 500 (US$44.52) a month, while a three-bedroom house cost MK70 000 (US$95.89) a month. However, EDH is currently not constructing further houses and most of its housing stock has been put up for sale. More recently, Lafarge launched the Maziko House project in 2014. The project aimed to provide low income families with ‘economical but decent houses’ using innovative construction techniques and materials that claimed to cut construction costs by 20 – 40 percent and reduce construction time by over 60 percent.It is unclear how many houses were built under this scheme. However, Lafarge has since launched a new affordable housing product called DURABIC Homes which uses the same innovative construction material (a soil-stabilized earth-cement brick) as that used in the Maziko House project. Lafarge, through a joint-venture with CDC UK called 14Trees, is strongly promoting the DURABIC Home as a ‘turnkey solution’ for Malawians. The houses range in size from 42sqm for a one bedroom to 82sqm for a three bedroom and can apparently be built and delivered within 12 – 16 weeks. Information of the cost of the houses is unavailable. Private housing suppliers in the country include ; Press Properties Limited, Kanengo Northgate, NICO Assets, Knight Frank, Enterprise Development Holdings, and FISD Limited. National Statistical Office Malawi (2017). CCODE (2015): Situational Assessment of Rural Housing in Malawi: A Case Study of Salima District. Unpublished. Land in Malawi is managed by either the Ministry of Lands, Housing, and Urban Development, Malawi Housing Corporation, City Councils, traditional leaders, and private entities. Most households live in unplanned settlements using customary practices due to the scarcity of serviced land for low income housing. According to Knight Frank, a drop in demand for residential rental properties in Lilongwe from international donors and business communities has led to an oversupply of properties with rentals indexed to the US dollar.Furthermore, the report states that there is trend towards less expensive rental properties in medium density areas that are quoted in the local currency. However, these market changes do not appear to have translated into lower rental prices, yet. As of August 2018, rental for single bedroom units in the city centre ranged from MK145 435 (USD200) to MK363 587 (USD 500) while a three bedroom in the city centre ranged from MK290 870 (USD400) to MK799 891 (USD 1 100).These costs are slightly higher than the rates quoted in the 2017 CAHF Yearbook. Knight Frank further report that residential sales have slowed down in 2017/18 due the difficult economic environment. However, the country’s property market has been struggling since the initial devaluation of the Kwacha in 2012 which resulted in a fall in both the rental and sales marketsand the continued devaluation of the currency to the US dollar throughout 2015/16. In terms of the ease of registering a property in the country, the World Bank ranked Malawi 96thout of 190 countries in the 2018 Doing Business Index. The process involves six procedures, over 69 days at a total cost of 1.6 percent of the property value. In terms of the quality of land administration, out of a score of 0 – 30 (with 30 representing the best quality), Malawi scored 10.5 in 2018, which is slightly higher than the overall Sub-Saharan Africa score at 8.6. Housing related policies feature amongst national priorities in Malawi’s strategic papers. Malawi’s Vision 2020 places greater focus on developing and upgrading human settlements for ‘equitable access to housing for all’. Further, the new Malawi Growth and Development Strategy (MGDS III) recognises that Malawi lacks a human settlement framework and that the majority of urbanresidents live in sub-standard housing and/or informal settlements (76 percent in Lilongwe). The MGDS III intends to bridge the housing gap by “increasing access and availability of affordable and decent houses”. Strategies included in the MGDS III include: the registration of customary land parcels and the digitization of land records, systems and processes, property valuations and assessments, as well as general policy development and guidance with respect to increasing access and the availability of affordable, decent houses. The country has also ratified the Global Agenda for Housing, Habitat III, which binds governments to ensure everyone has access to “adequate, safe and affordable housing and basic services” by 2030. Despite not having a National Housing Policy in place (it has been in draft form since 2007), in recent years, a number of land-related Bills have been passed by parliament. These include: Land Act 2016, Physical Planning Act 2016, Land Survey Act 2016, Customary Land Act 2016, The Registered Land (Amendment) Act 2016, Land Acquisition (Amendment) Act 2016, Local Government (Amendment) Act 2016, and the Malawi Housing Corporation (Amendment) Act 2016. The Customary Land Act has ignited debate over the need for the role of chiefs in land administration with opposers of the bill arguing it strips chiefs of their traditional powers over land and overburdens poor people to pay for land leases. Proponents argue the new law gives rural communities an opportunity to own land individually (as opposed to communal ownership), which they can register and therefore use it as collateral. In line with the MGDS III, the Registered Land (Amendment) Act provides for title registration throughout the country for all land categories including customary estates. With the passing of the Land Act 2016and Customary land Act 2016, two major departures have been made to the country’s historic tenure system. Firstly, land in Malawi is now only classified into public or private land, whereas customary land used to have its own classification.Customary land is now classified as private land except for unallocated customary land which is classified as public. Secondly, all land is vested to the Republic in perpetuity, as opposed to it being vested to the president. However, a potential deterrent for foreign investors is the clause relating to foreign ownership of land in the amended Land Act. The Act limits the maximum period of leasehold to non-Malawian citizens to 50 years, with the caveat that longer leasehold’s may be permitted if more time is required for the realization of an investment. The Physical Planning Act 2016 repeals the former Town and Country Planning Act of 1988. The new Act makes provision for the development of both urban and rural land and, amongst other things, stipulates the development of a National Physical Development Plan (NPDP). 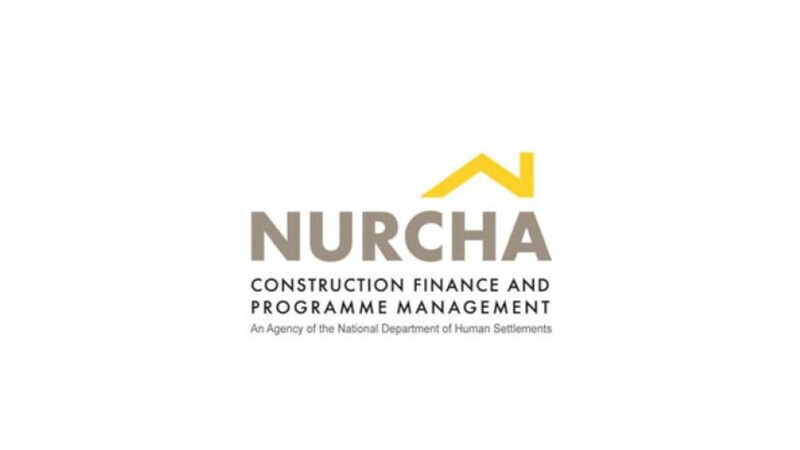 The purpose of the NPDP is to assist with the development of urban and rural growth centres and provide guidelines for the development of suitable facilities and services in both areas. To date, some of the major constraints to the development of Malawi’s mortgage market have been the limited access to privately owned land, lack of secure tenure, inability to use rural-based land and houses as collateral and an inefficient land registration system. The successful implementation of the abovementioned policies and legislation and roll out of improved systems such as the title registration system and customary land registration should ease these constraints in the coming years and, hopefully, spur on development in the mortgage market. Note: Public land can be classified as either government land or unallocated customary land. Private land can be split into customary estate, leasehold land and freehold land. Andsen-Mana, T. (2018). Upgraded Kamuzu Barrage ready October end. 29 July 2018. Nyasa Times. https://www.nyasatimes.com/upgraded-kamuzu-barrage-ready-october-end/. (Accessed 18 September 2018). African Development Bank Group (2018). African Economic Outlook. Malawi. https://www.afdb.org/fileadmin/uploads/afdb/Documents/Generic-Documents/country_notes/Malawi_country_note.pdf. (Accessed 18 September 2018). CAHF (2017). 2017 Yearbook. Housing Finance in Africa. http://housingfinanceafrica.org/app/uploads/2017_CAHF_YEARBOOK_14.10-copy.compressed.pdf. (Accessed 18 September 2018). CCODE (2015). Situational Assessment of Rural Housing in Malawi: A Case Study of Salima District. Unpublished. CDH Investment Bank (2018). https://www.cdh-malawi.com/index.php/interest-rates. (Accessed 19 September 2018). Chilanga, Z. (2017). Malawi Housing Corporation wins case to effect rental hike. 31 october 2017. https://www.nyasatimes.com/malawi-housing-corporation-wins-case-effect-rental-hike/. (Accessed 19 September 2018). Chikoko,R. (2017). Housing subsidy flop. 21 October 2017. https://mwnation.com/flop-housing-subsidy/. (Accessed 19 September 2018). CRB News (2017). Message from Credit Data CRB Ltd. https://www.creditdatamw.com/category/news/. (Accessed 18 September 2018). DURABRIC (2018). https://www.durabric.com/durabric-homes. (Accessed 19 September 2018). Export.gov (2016). Malawi Banking Systems. https://www.export.gov/article?id=Malawi-banking-systems. (Accessed 19 September 2018). FDH Bank (2018). http://www.fdh.co.mw/index.php/rates-tariffs/bank-interest-rates. (Accessed 19 September 2018). Finmark Trust (2014). Finscope Consumer Survey Malawi 2014. http://www.finmark.org.za/wp-content/uploads/2014/08/Broch_Consumer_Malawi_2014-1.pdf. (Accessed 18 September 2018). FDH Bank (2015). FDH Bank ltd recapitalization update. http://www.fdh.co.mw/index.php/press-releases. (Accessed 18 September 2018). FDH Bank (2018). Mortgages. http://www.fdh.co.mw/index.php/products/asset-finance/mortgages#full-details. (Accessed 19 September 2018). Habitat for Humanity Malawi (2018). https://www.habitat.org/where-we-build/malawi. (Accessed 19 September 2018). IMF (2018). IMF DataMapper. ttps://www.imf.org/external/datamapper/NGDPDPC@WEO/OEMDC/ADVEC/WEOWORLD. (Accessed 19 September 2018). Katona, M. (2017). Malawi Housing Corporation rescinds rental hike. 16 June 2017. https://www.times.mw/malawi-housing-corporation-rescinds-rental-hike/. (Accessed 19 September 2018). Kapulula,P. (2018). 20,000 benefit from DAHSP. 21 march 2018. http://www.manaonline.gov.mw/index.php/component/k2/item/8253-20000-benefit-from-dahsp. (Accessed 19 September 2018). Knight Frank (2013). Africa Report 2013. https://content.knightfrank.com/research/155/documents/en/africa-report-2013-2013.pdf. (Accessed 19 September 2018). Knight Frank (2017). Africa Report 2017/2018. https://www.knightfrank.com/publications/africa-report-201718-4576.aspx. (Accessed 19 September 2018). Lafarge (nd). Maziko Houses brochure. https://www.lafarge.mw/sites/malawi/files/documents/Maziko_Houses_Brochure.pdf. (Accessed 19 September 2018). The MIX (nd). Reaching Rural Areas is the Key to Unlocking Full Financial Inclusion in Malawi. https://www.themix.org/news/mymix/reaching-rural-areas-key-unlocking-full-financial-inclusion-malawi. (Accessed 18 September 2018). Malawi Government (2017). The Malawi Growth and Development strategy (MGDS) III. 16 August 2017. https://cepa.rmportal.net/Library/government-publications/the-malawi-growth-and-development-strategy-mgds-iii. (Accessed 19 September 2018). Malawi Housing Corporation (2017). MHC Public Service Reforms Presentation. http://www.mhcmw.org/index.php/mhc-media/publications/8-mhc-public-service-reforms-presentation. (Accessed 19 September 2018). Ministry of Lands, Housing and Urban Development (2015). Malawi Habitat III Report. http://habitat3.org/wp-content/uploads/Malawi-Final-Habitat-3-Report-Oct2015-1.pdf. (Accessed 19 September 2018). Ministry of Agriculture, Irrigation and Water Development (2017). Shire Valley Irrigation Project. Resettlement Policy Framework. 10 August 2017. http://documents.worldbank.org/curated/en/572641502362203937/pdf/SFG3554-RP-P158805-Box405293B-PUBLIC-Disclosed-8-10-17.pdf. (Accessed 19 September 2018). Mlaka, E. (2018). New land law overview: Key changes. http://www.kas.de/wf/doc/kas_53120-1522-2-30.pdf?180716124546. (Accessed 19 September 2018). Moyo-Nyasa, J. (2018). Exim Bank of China to finance Malawi coal-fired power plant project. 19 January 2018. Nyasa Times. https://www.nyasatimes.com/exim-bank-china-finance-malawi-coal-fired-power-plant-project/. (Accessed 18 September 2018). National Bank of Malawi (2016). Annual Report 2016. https://www.natbank.co.mw/index.php/publications/annual-reports/81-annual-report-2016/file. (Accessed 18 September 2018). NBS Bank (2018). https://www.nbs.mw/index.php/corporatebanking/creditproducts. (Accessed 18 September 2018). National Bank of Malawi (2018). Interest Rates. https://www.natbank.co.mw/index.php/interest-rates. (Accessed 18 September 2018). National Statistical Office Malawi (2014). Malawi Labour Force Survey 2013. http://www.nsomalawi.mw/images/stories/data_on_line/demography/Labour%20Force/Labour%20Force%20Survey%202013/Key%20Finding%20Report_Labour%20Force%20Indicators.pdf. (Accessed 19 September 2018). Numbeo (2018). Cost of Living in Malawi. https://www.numbeo.com/cost-of-living/country_result.jsp?country=Malawi. (Accessed 19 September 2018). The Presidency (2016). Physical Planning Act No.17 of 2016. 1 September 2016. http://extwprlegs1.fao.org/docs/pdf/mlw170909.pdf. (Accessed 19 September 2018). Reuters (2017). Malawi’s First Merchant to buy micro lender Opportunity Bank. 28 June 2017. https://www.reuters.com/article/malawi-fmb/malawis-first-merchant-to-buy-micro-lender-opportunity-bank-idUSL8N1JP1XF. (Accessed 18 September 2018). TheReserve Bank of Malawi (2016). Press Statement. Malawi Kwacha Depreciation and Near-Term Prospects. 28 January 2016. https://www.rbm.mw/MediaCenter/PressReleases/. (Accessed 19 September 2018). The Reserve Bank of Malawi (2017). Financial and Economic Review. Vol 51 – Number 4. Pgs. 10 – 39. The Reserve Bank of Malawi (2018). Financial Stability Report. June 2018. Pgs. 8 – 10. Sangala, T. (2018). Bankers say 75% of Malawians unbanked. 23 July 2018. https://www.times.mw/bankers-say-75-of-malawians-unbanked/. (Accessed 18 September 2018). Trading Economics (2018). Malawi – Economic Indicators. https://tradingeconomics.com/malawi/indicators. (Accessed 19 September 2018). Thipa, G.(2017): Fears Rise Over Wage Avoidance. Daily Times. 13 July 2017. https://www.times.mw/fears-rise-over-wage-avoidance/. (Accessed 19 September 2018). National Statistical Office Malawi (2017). 2016 Integrated Household Panel Survey. http://www.nsomalawi.mw/images/stories/data_on_line/economics/ihs/IHPS%202013/IHPS%202010-2016%20report.pdf. (Accessed 19 September 2018). United Nations (2017). World Population Prospects. Data Booklet. 2017 Revision. https://population.un.org/wpp/Publications/Files/WPP2017_DataBooklet.pdf. (Accessed 17 September 2018). United Nations (2017). World Population Prospects. Volume II: Demographic Profiles. 2017 Revision. https://population.un.org/wpp/Publications/Files/WPP2017_Volume-II-Demographic-Profiles.pdf. (Accessed 17 September 2018). Pgs. 477 – 479. UNDP (2013). Human Development Reports. Table 6: Multidimensional Poverty Index: developing countries. http://hdr.undp.org/en/composite/MPI#. (Accessed 18 September 2018). UNDP (2017). NRB issues the first national identity cards to Malawians. http://www.mw.undp.org/content/malawi/en/home/presscenter/articles/2017/11/09/nrb-issues-the-first-national-identity-cards-to-malawians.html. (Accessed 18 September 2018). UNDP (2018). Human Development Reports. 2018 Statistical Update. http://hdr.undp.org/en/2018-update. (Accessed 18 September 2018). Worldpopulationreview.com (2018). http://worldpopulationreview.com/countries/malawi-population/cities/. (Accessed 17 September 2018). The World Bank (2017). World Development Indicators. http://databank.worldbank.org/data/source/world-development-indicators. (Accessed 18 September 2018). The World Bank (2017). The Global Findex Database 2017. Malawi Country book. https://globalfindex.worldbank.org/sites/globalfindex/files/countrybook/Malawi.pdf. (Accessed 18 September 2018). The World Bank. (2017). Doing Business 2017. Economy Profile 2017. Malawi. http://documents.worldbank.org/curated/en/503321478587320244/pdf/109897-WP-DB17-PUBLIC-Malawi.pdf. (Accessed 18 September 2018). The World Bank (2018). Ease of doing business in Malawi. http://www.doingbusiness.org/en/data/exploreeconomies/malawi#DB_rp. (Accessed 19 September 2018). The World Bank (2018). Sub-Saharan Africa. Macro-Poverty Outlook. Spring Meetings 2018. http://pubdocs.worldbank.org/en/720441492455091991/mpo-ssa.pdf(Accesses 18 September 2018). The World Bank. (2018). Business Reforms in Malawi. http://www.doingbusiness.org/en/reforms/overview/economy/malawi. (Accessed 18 September 2018). An updated overview of Malawi’s housing finance market. Click the image, or click ‘download attached document’, to download the newsletter. .